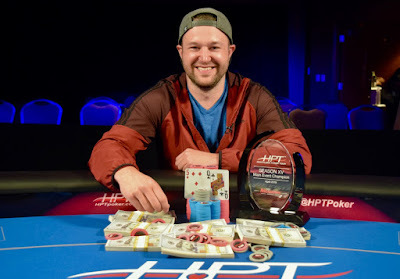 Dan Wagner kept finding double-up after double-up, surviving long enough to earn the $79,665 top prize in the HPT Pittsburgh Main Event. Wagner defeated Anthony McIe heads-up for the win. Play was not what typically for a main event final table, as the exceptionally short stacks held on for what seemed to be forever. At one point 7-handed the three small stacks combined for just 14BB, and each of those players doubled at least once after that point. Short-stacked players doubled-up 20 different times during final table play. Wagner - chipleader to start the day - fell to 2BB, doubled, fell to 2BB again and even chopped a pot before finding his footing and working his way back. During heads-up play, Wagner doubled through McIe five different times before taking the lead, then winning the title by defeating McIe on the only all-in where he was ahead in chips. McIe constantly had Wagner needing help to survive and was unable to get flops that held. Wagner did hit quads on one double-up, however, during the 5-double-up run. McIe earned $48,215. Lydia Waltonbaugh had the crowd behind her throughout the final table, finishing in third place, cashing for $32,287. Jason Pickup had a miserable run after the blinds reached triple-digit. He doubled up Wagner three times, McIe once and Waltonbaugh once. The final double-up left him with only 1/2 of a SB and he went out in 4th. Marcus Gaunt twice fell to just 2BB, doubling once and being eliminated the second time in 6th place. 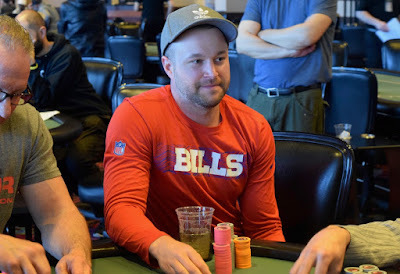 Tyson Lee was below 5BB for an extended period of time before being eliminated in 7th place. Anthony McIe moves all in for 1.6 million and Dan Wagner makes the call. For the first time it is Wagner in the lead during an all-in call during this heads-up match. The board runs out and the comeback is complete as Wagner earns the win. The stacks draw close to even, and here they go again, Dan Wagner all in preflop for 4.4 million and at risk heads-up against Anthony McIe. The flop hits both players - - Wagner flops a set and McIe has a gutter to Broadway. The board runs out and Wagner rivers quads, taking his first chiplead during heads-up play, moving to 9 million of the 10.3 million in play. Dan Wagner moves all in and Anthony McIe makes the call, still looking for that knockout hand to eliminate Wagner. 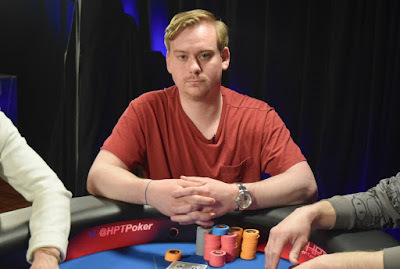 Dan Wagner moves all in preflop again, 1,630,000 this time, and Anthony McIe makes the call again, still trying to find a way to eliminate Wagner and take the HPT Pittsburgh title. Both players catch the flop, Wagner taking the lead. The board runs out for double xNo. 6 for Wagner, and yes, again, the stacks are back to when HU play began. 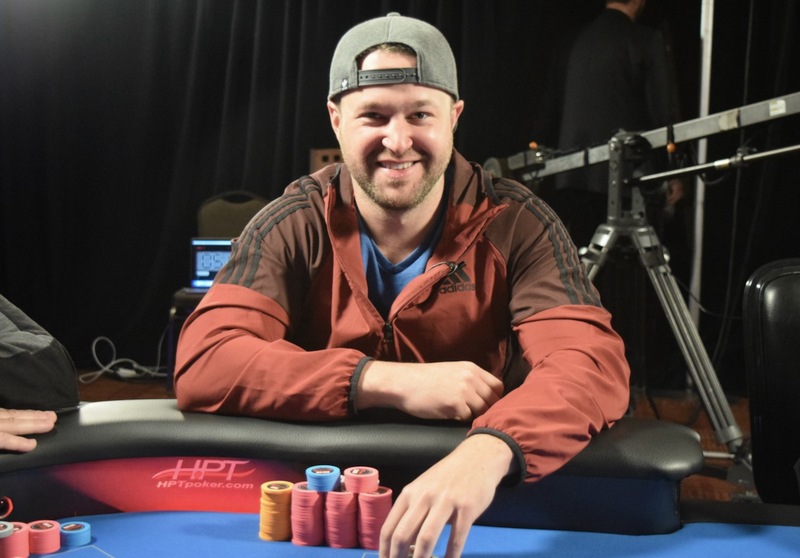 Dan Wagner is in for his last 1,665,000 and Anthony McIe calls, looking to become the HPT Pittsburgh Champion if he scores the knockout. The board runs out and this is the fifth double-up for Dan Wagner since big blind reached 100,000. Stacks are back to what they were when HU play began, McIe with a 2-1 lead. Anthony McIe moves all in preflop - holding a huge chiplead - and Dan Wagner calls off his last 1,520,000 stack. The flop of doesn't change anything as Wagner has the better flush draw, but the turn gives McIe a gutter for a straight. river is and Wagner finds yet another double to stay alive, moving to 3.1 million to the 7.3 million of McIe.